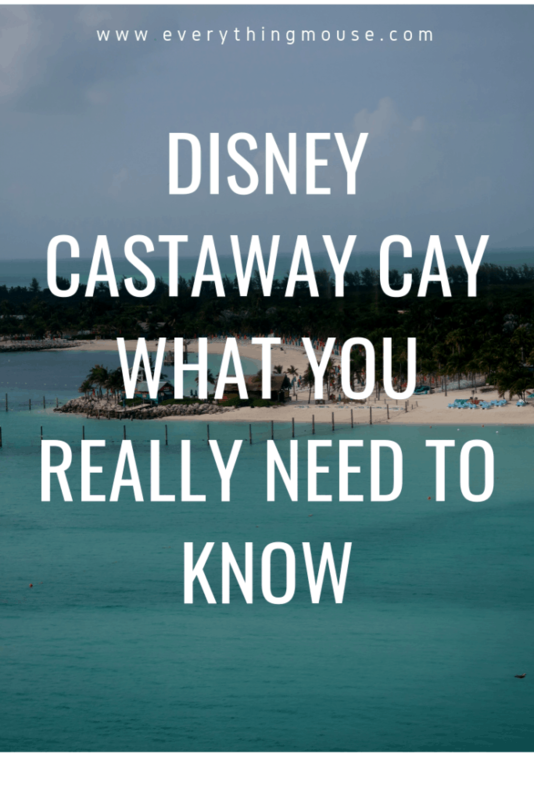 Are you wanting to know more about Disney Castaway Cay? 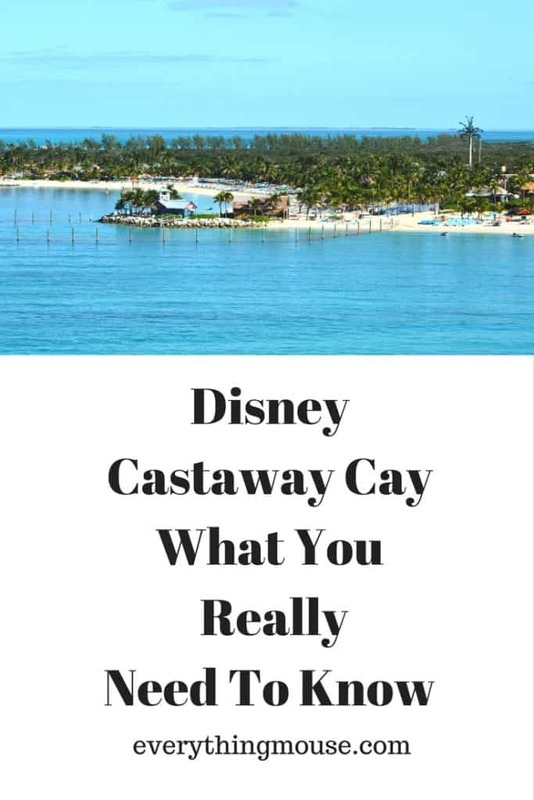 One of the highlights of a Disney cruise is a trip to Disney’s private island Castaway Cay. 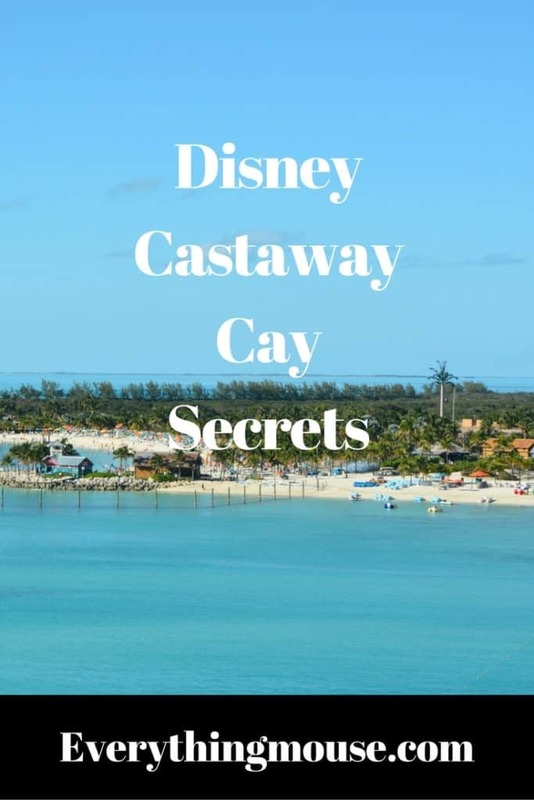 Here we want to share with you some of the secrets of Disney Castaway Cay island. Most Disney cruise guests say that their visit to Castaway Cay is the highlight of their trip. We agree! Disney was one of the first cruise lines to offer their guests a private island to explore. Disney wanted to be the very best. They made sure that the island had the perfect location in the Bahamas and offered an amazing experience for their guests. Disney’s Castaway Cay private island is 1,000 acres in area. However, most of this is not developed. 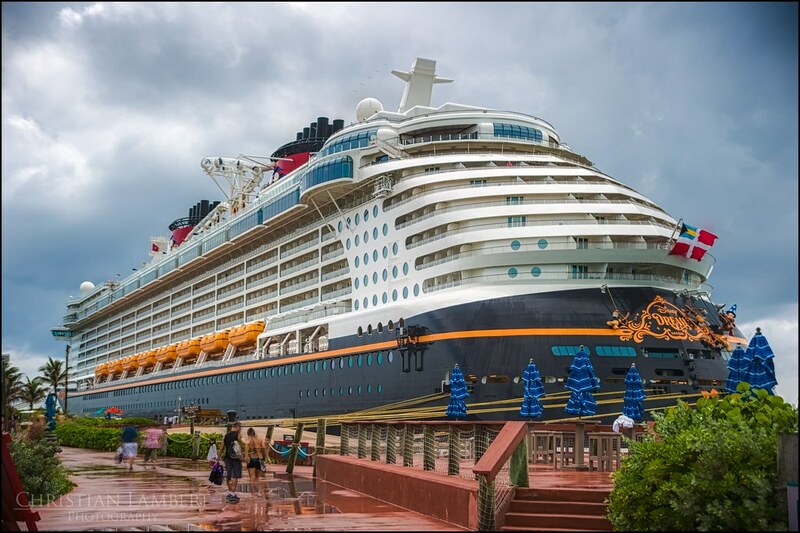 Disney cruise lines have made a 55-acre paradise in the Bahamas for their cruise guests. Disney Castaway Cay Bahamas is often the highlight of a Disney cruise. 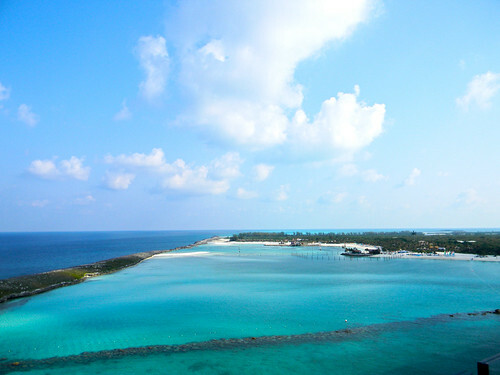 A very limited number of cruises also stop at Castaway Cay twice in one sailing. There are known as Castaway Cay Double Dip sailings and you can read about them here. It is fun to know a little of the rather dubious past history of Castaway Cay. 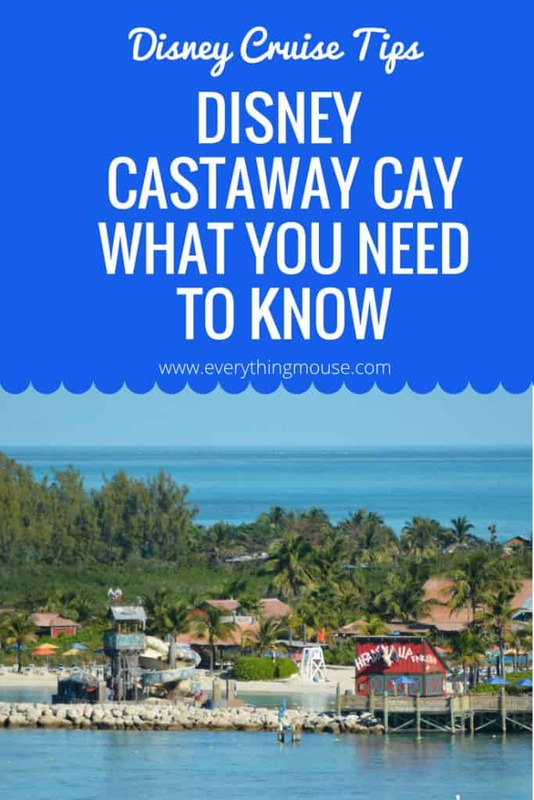 Contrary to popular belief Disney does not actually own Castaway Cay. The island of Castaway Cay actually belongs to the Bahamian government. 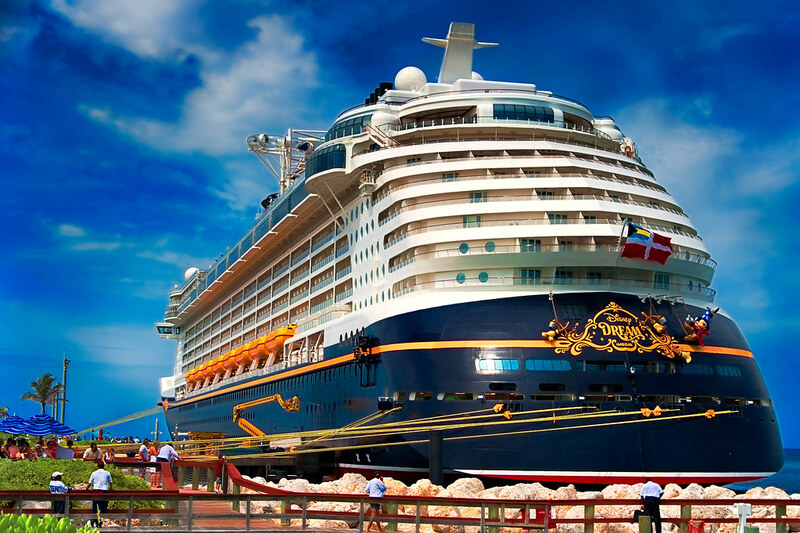 Disney Cruise Lines have a 99-year lease which began in 1997, the year before Disney Magic was launched. They are reputed to have spent $25 million on making this island a true Disney paradise for their cruise guests. However, this his 1,000-acre island in the Bahamas, which was known as Gorda Cay, was not always used for family-friendly activities! 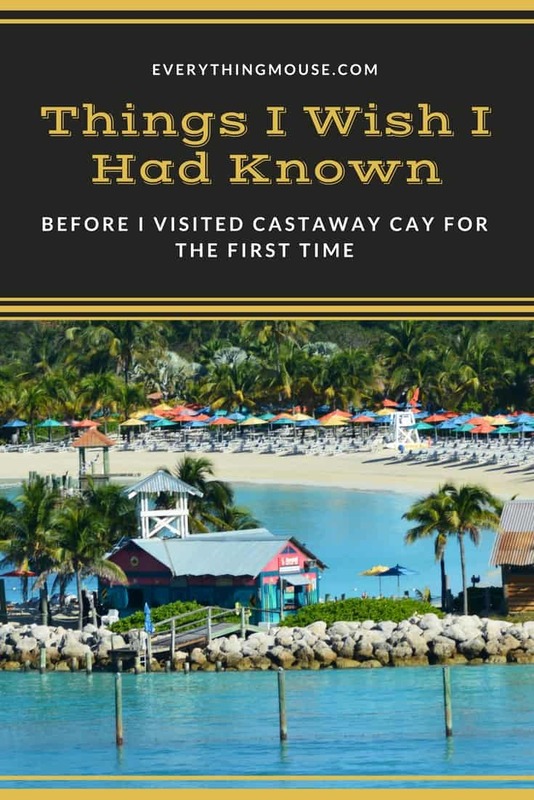 Disney Castaway Cay has an interesting history ……. Disney Legend has it that pirates used the island to hide and wait for passing ships to ambush. There is some evidence that this is actually true as there were some treasures found on the island from a ship which sank in 1733. Fortunately, the only pirate who you will encounter on Castaway Cay now is Captain Jack Sparrow. He will be out and about and available for photos on Castaway Cay. Before it was renamed Castaway Cay it was called Gorda Cay. The island was used in the last century by farmers who lived on the neighboring islands. An entrepreneur, Alvin Tucker, bought part of the island in the 1960s. He built a runway to improve access to the island. However, the fact that it was a great place to grow things and had a very useful airstrip built in the 1960s, meant that it was discovered by drug smugglers. When Alvin Tucker heard about this he tried to stop it but failed. It is rumored that even the local police were supporting the operation. Tucker sold his interest in the island to a private company which later was revealed to be backed by drug smuggler Frank Barber. Frank Barber thought it would be a great idea to use the island for tourism as well as running his drug operation there! However, in 1983 his reign came to an end when the police raided the island and found $100 million worth of cocaine. Disney leased the island from the Bahamian government in 1997, just a year before the launch of the first Disney cruise ship, the Disney Magic. It is believed that they spent $25 million converting Gorda Cay into an island paradise for Disney cruise guests. This included blasting out some of the sea bed to build a dock and importing 50,000 truckloads of sand to build the beach. It is an incredible experience to watch the ship approach Castaway Cay. You will arrive early in the morning. If you have a verandah stateroom it is a great idea to get a room service breakfast that day. You can then enjoy a leisurely breakfast whilst you watch Castaway Cay get closer and closer. If you do not have a verandah then you should head on up to the buffet to get some breakfast. You can still watch your arrival at Castaway Cay from the buffet whilst you get a bite to eat. Our tip is to start the day early at Castaway Cay. You only have a limited time there and the best way to get the maximum benefit from it is to start out early. You can also get some precious island time before the sun gets too strong. It is very easy to get off the ship and on to Castaway Cay. Disney thought of pretty much everything when they were creating their private island. Tender boats are a pain, and so Disney made sure that their ships could dock directly on the island. Many cruisers get off the ship early at Castaway Cay. However, because the process is so easy you won’t experience those awful lines to disembark which some other cruise lines have. Remember to take your Key to the World Card with you. This is your way to get on and off the ship. You also use your KTTW for any purchases that you want to make on the island. There isn’t really much else that you actually need to bring with you when you get off the ship. We always advise hats and sun screen though. for a reasonably low price these days. When you exit the ship one of the first things that you will see is a stack of towels. You can pick up one of these to use for the day – no need to bring towels off the ship. with you. They do sell it on the island, but of course it is highly priced. Take some with you! Another Disney cruise tip which people with young children need to know is that you do not have to bring a stroller off the ship. Disney has everything covered for you. There is free stroller rental right off the ship. Kids usually think it’s fun to have a different stroller. Take advantage of this free Disney cruise perk which includes strollers, wagons and even jogging strollers. There are free wheelchairs available too with huge wheels so that you can take them on the beach. You will pass the Disney Castaway Cay Post Office on your right. This is a great place to send a postcard as it will be stamped with the Castaway Cay post mark. It will take some time to reach its destination but it is a cool thing to do! The first decision of the day that you will face is whether to take the Castaway Cay Tram or not. We suggest that you do not take it on the way out to the beaches. It really isn’t that long of a walk and you may find that it is quicker than taking the trams at the beginning of the day. We usually don’t take it on the way out, but take it on the way back. Walking to the beaches has the advantage that you tend to get to the beach earlier than most people, who are still stuck waiting for a tram. You can also get more of a sense of the island and see some of the Disney details along the trail. If you are thinking of sailing on a cruise on the Disney Cruise we always suggest contacting a Disney Authorized Travel Agent. We recommend Destinations in Florida – Get a Quote Now!. Their services are free and you may even get a discount! 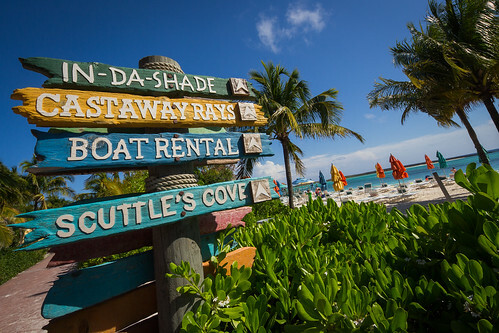 Which Disney Castaway Cay Beach Should We Choose? Another great thing about Disney Castaway Cay is that there is more than one beach to choose from. The closest beach to the ship is Castaway Cay Family Beach. As you would expect, this is the most popular beach on the island. The Castaway Cay Family Beach is set out in a number of different areas. The Family Beach on Castaway covers the most space on the island. There are different places that you can aim to settle for the day. Human nature being what it is, most people don’t want to venture far from the Disney ship. Therefore the rule seems to be that the further you get from the ship, the less populated the beach is. It’s kind of like the principle of how you can search for ever for a parking space close to the store. However,if you are prepared to walk for two minutes there will be plenty of space. As the day progresses the beach gets more crowded. The Disney Wonder and Magic have many less guests than the Disney Dream and Fantasy. This means that you will have fewer people on the island if you are on the classic ships. We don’t think that Castaway Cay ever seems that crowded. But it isn’t empty either. If you want to get your preferred spot on the Castaway Cay Family Beach you need to be one of the first batch of guests off the ship. People also leave early in the afternoon. Another tip is to go for the last couple of hours on Castaway Cay when everyone else is heading back to the ship. Guests, and we admit this includes us, tend to go back to the ship earlier than is really necessary. Maybe it’s the mostly irrational fear that you will be waving goodbye to the ship and stranded on this island of paradise! Whatever it is, people tend to start leaving the island around 2 hours before the departure time. If you want to take advantage of this, leave your beach time until the end of the day. Disney probably won’t thank us for this insight, but they aren’t going to leave you behind. We have seen guests left behind in other ports. However, do you really think Disney isn’t going to make sure you are off their own private island? Don’t take advantage of this and inconvenience other guests and the Captain by being late. Be cool about it. However, you can leave the island 15 minutes before the scheduled departure and still be fine. If you are child free you will definitely want to Serenity Bay Castaway Cay. This is the adults only beach. If you want a fabulous, perfect, pretty much empty beach you will find it on Serenity Bay Castaway Cay. If lying on the beach and going for a swim in the perfectly clear and calm ocean is your thing then this is paradise. Sitting on a beach is definitely not our thing – anywhere else in the world except Serenity Bay. However, here Disney has created the perfect beach paradise which even people like me can actually relax on for more than 15 minutes! You can leave the kids in Scuttle’s Cove if you want to catch some time on Serenity Bay. We say it is worth it, even if it is just for a couple of hours out of the day. There is also Teen Hideout for those over 13 who probably don’t want to spend the whole day with you anyway! One of the most sought after commodities on Disney’s private island are the Castaway Cay Cabanas. 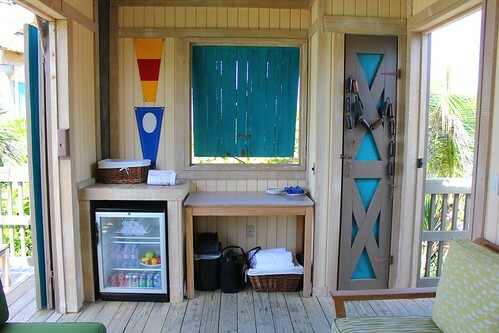 If your budget can stretch to a Castaway Cay Cabana you will be very happy in your very own private paradise. However, you have to be very lucky to get one. 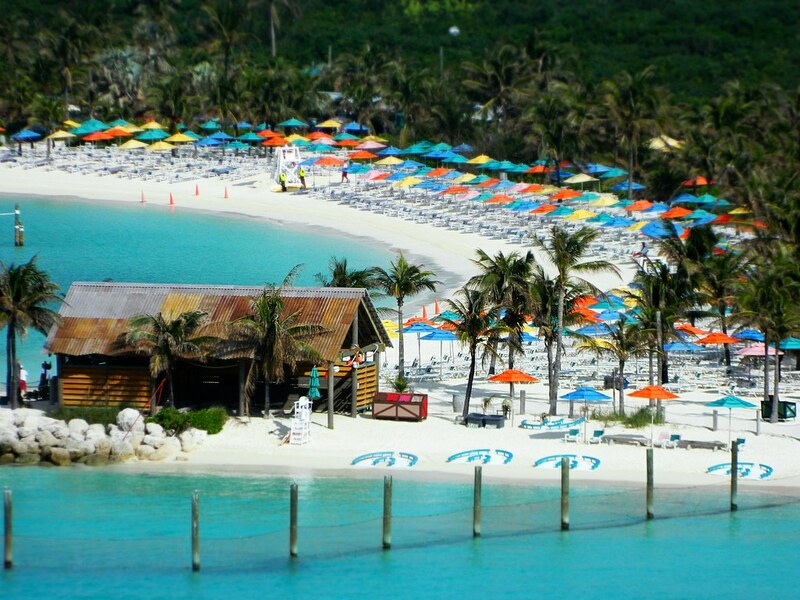 There are 24 Castaway Cay Cabanas and they generally all sell out as soon as booking opens. What this means is that usually you have to be a Disney cruise concierge guest to even have a chance of booking one. The concierge guests have priority booking of 120 days out from the cruise and they are usually gone on day one of the booking window. Most of the Cabanas are on the Family Beach, but there are some available on Serenity Bay. The Serenity Bay cabanas are slightly easier to book – most people go on a Disney cruise with their children. 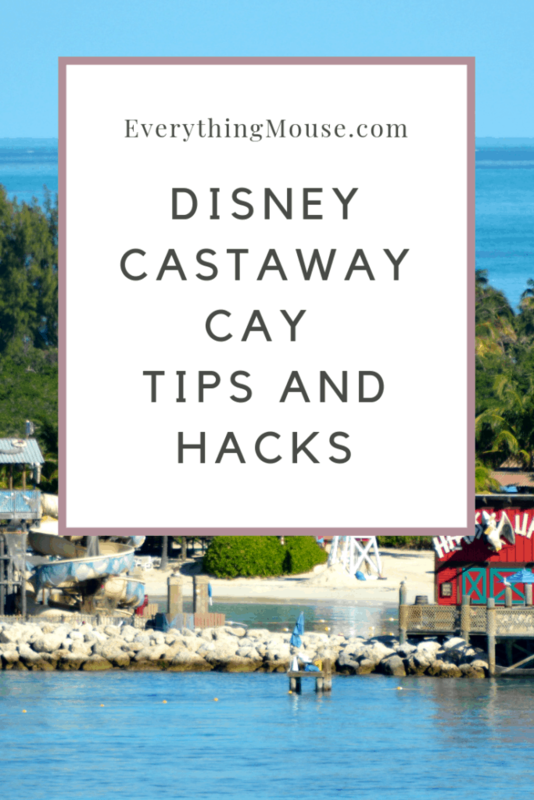 So why are the Disney Castaway Cay Cabanas so popular? They offer your own haven of shade and comfort on the island. 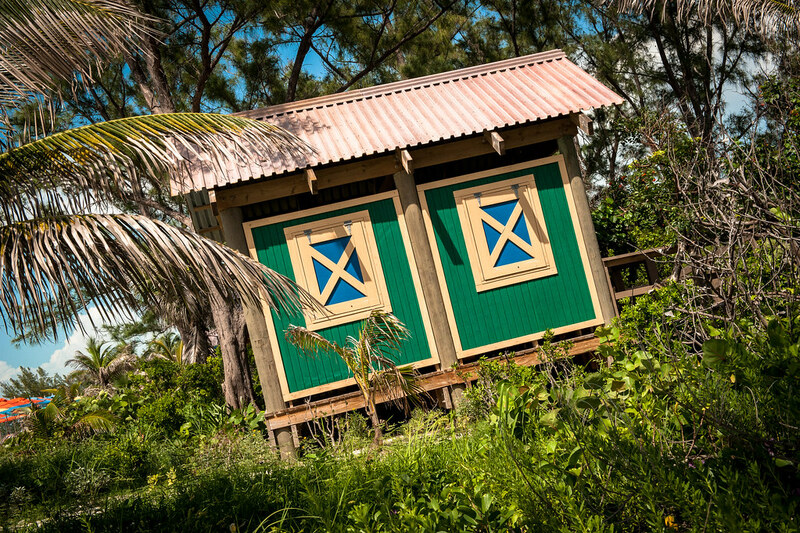 They are wooden cabana structures which have the front open to one of the Castaway Cay beaches. They also give the lucky few who book them some extra things such as free rafts, tubes and snorkel gear. There are more things which we will detail later. If you book a Castaway Cay Cabana you will receive a note with special instructions in your stateroom. Here you will get a wrist band so you can be identified as having snagged that elusive Cabana reservation. Once you get off the ship you will go to the Disney Castaway Cay Cabana Check In. Once you have checked in a helpful Cast Member will take you by golf cart to your very own cabana. The Cast Member will give you a tour of your Castaway Cay cabana. They will make sure that you know about all of the perks and amenities. If you want anything then a Cast Member can easily be called with the push button in the cabana. They will even come back and transport you anywhere you want to go with the golf cart at any time during your stay. The furnishings inside and outside the cabana are of very high quality. There is a fabulous porch with comfortable furniture on the deck outside. It is an amazing experience to sit outside on the deck – there is a ceiling fan in case you get too warm. You will probably find that you spend a lot of your time outside there on the deck close to the sand. 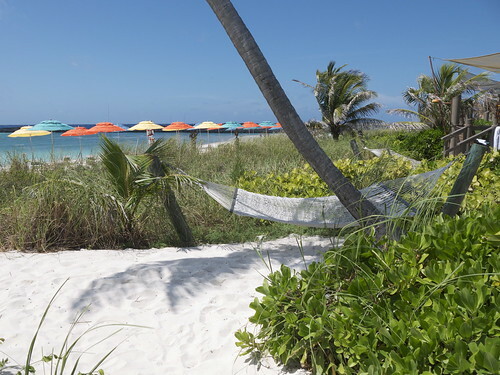 Another great perk of the Castaway Cay Cabanas is that you get your very own hammock. Guests who experience the Disney Castaway Cay Cabanas usually feel as though they are worth the cost. What extra perks do you get with the Castaway Cay Cabana? You will have use of your own refrigerator which is stocked with hand towels, bottled water and soda. There is a safe, which is great for peace of mind if you are carrying cameras and phones. There is also a power socket so you can charge these. There will be basic snacks in your cabanas such as fruit, bags of chips and granola bars. You are even provided with sun screen, sand toys and magazines. on Disney Castaway Cay. We are really vigilant with it, but have experienced sun burn. Not a great thing to return to the Disney ship with. Although there are snacks in the cabanas you will have to make your way to the barbecue for lunch. The advantage is that you can eat it in your own private space if you want to. There is a fresh water shower and a changing curtain for privacy. You can also have music in your cabana. If you have a young children you can request a Pack N Play. The one thing that you don’t get with your Castaway Cay Cabana is a bathroom. You still have to walk to the bathrooms and depending upon where your cabana is located, this can be a bit of a trek. As you can imagine all of this comes at a price. 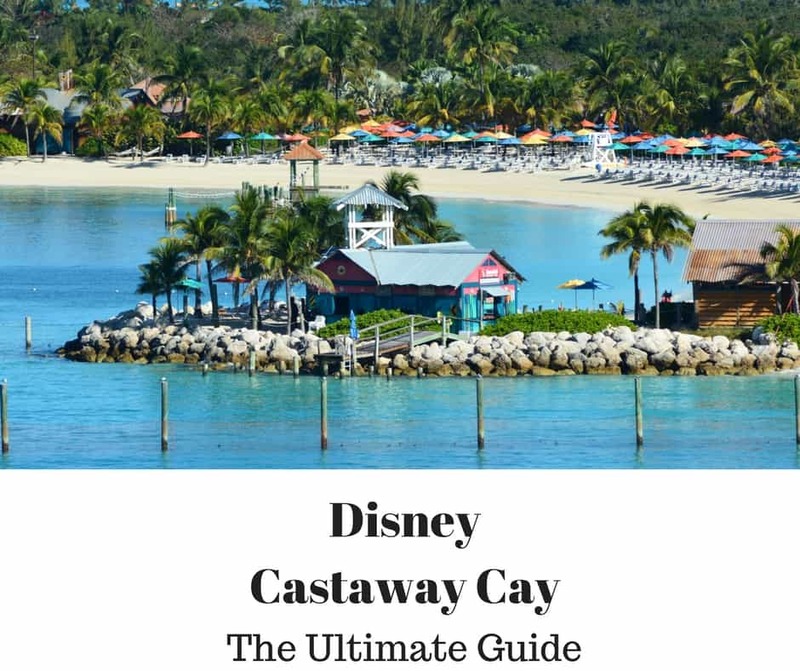 How much do the Castaway Cay Cabanas cost? The Family Beach Cabana is $549 and accommodates up to 6 guests, the Grand Family Beach Cabana is $899 and will accommodate up to 10 people. 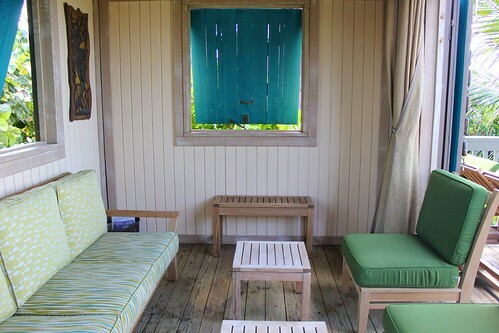 The Serenity Bay Beach Cabana is $399 and will accommodate 4 guests. You can add extra guests to each Castaway Cay Cabana for an extra fee. If you want more than 6 in the Family Beach Cabana there are charged at $50 per person up to 10 guests. The Grand Family Beach Cabana can add up to 6 guests for an additional $50 per person up to 16 guests. If you want to have more than 4 guests in the Serenity Bay Cabana they are also $50 per person up to a maximum of 10 guests. A Castaway Cay Cabana is the most difficult thing to actually book on a Disney cruise as there is such limited availability. There are only 21 cabanas and demand far exceeds supply. You really have to at least be a Platinum Castaway Cay Club member or Concierge Guest to even have a chance of getting one of these. However, we have occasionally heard of guests getting a last-minute reservation when someone cancels. Our Disney cruise tip is to go to Guest Services when you board the ship and ask to be put on the waiting list. Nothing ventured nothing gained. You may get very very lucky and get a last-minute cancellation of a Castaway Cay Cabana. 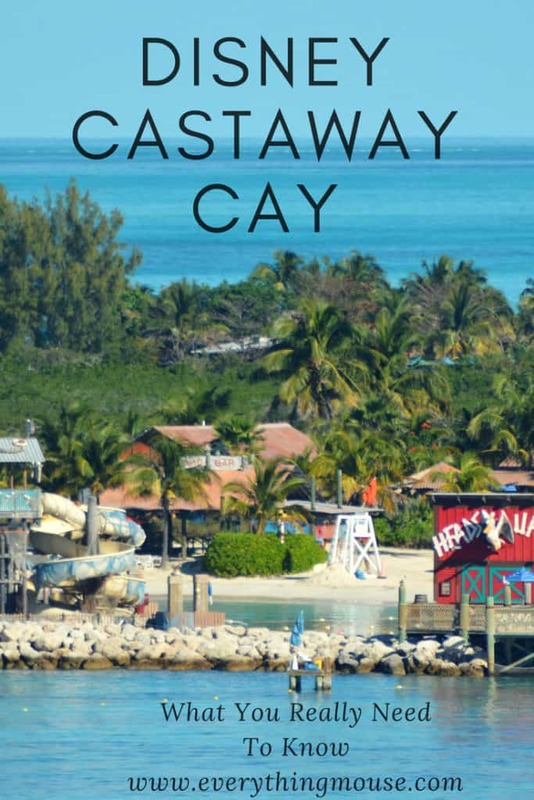 If you want a complete guide to Castaway Cay Cabanas then you can read that here. 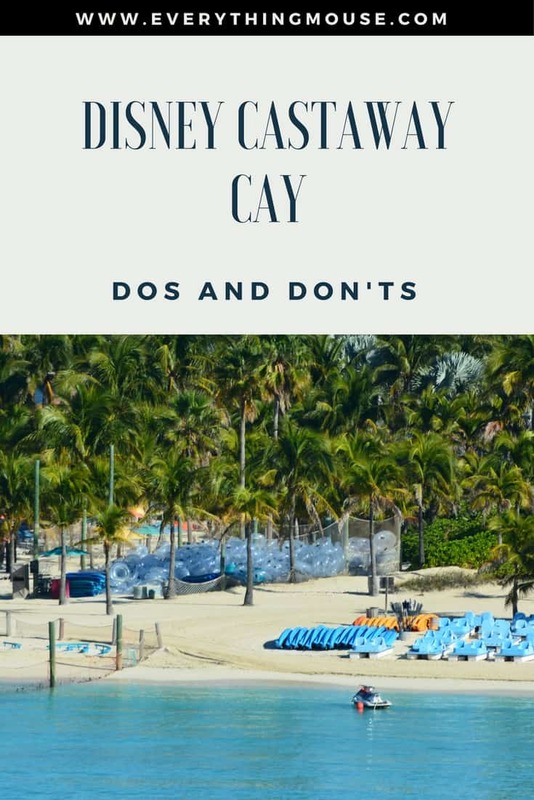 You can spend the whole day on Disney’s Castaway Cay simply relaxing on the beach, but there are also many activities on the island to keep you occupied. Some of the activities are free such as Pelican Cove on the Family Beach. This is a 2,400 square foot floating platform which has slides and water canons. It is a lot of fun for the kids. However, you do have to swim out to it though so they have to be comfortable out in the water. There is one open and one enclosed water slide. Want more Disney Cruise Tips? Disney’s Pelican Plunge is a very popular feature of the family beach. If you want to avoid the crowds make sure that you get there early or stay late. The part of the beach which is closest to Pelican Plunge is always the busiest. Spring a Leak is also a lot of fun, particularly for smaller children. It is a 2,400 square foot water splash area. It has lots of water fountains and sprinklers for the kids to play in. There are some paid activities and excursions on Castaway Cay as well. There are a variety of Disney Castaway Cay excursions to choose from. 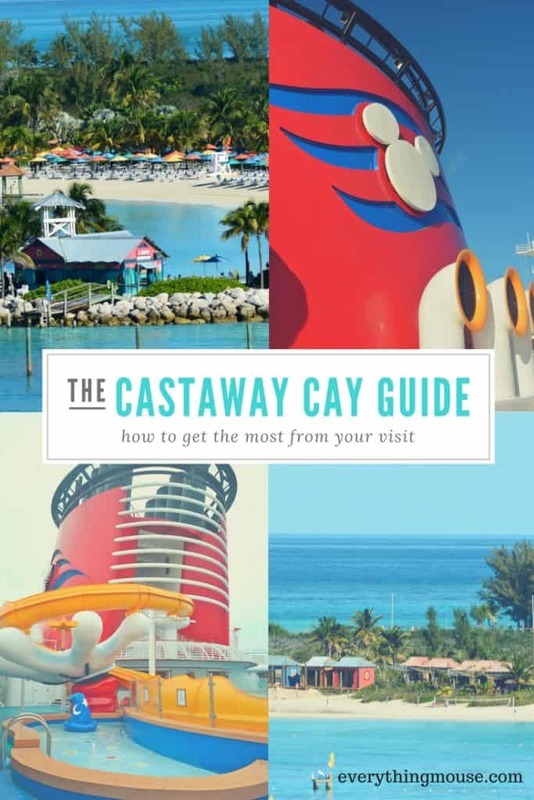 You really can enjoy Castaway Cay without spending any additional money at all. However, there are some activities for an extra cost which may interest you and your family. Some of the least expensive and good value extras are the equipment rentals on Castaway Cay. You need to head to Marge’s Barges and Sea Charter Dock on the Family Beach for rentals. 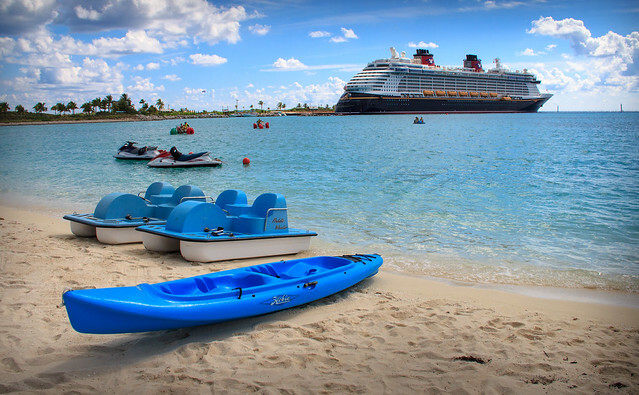 We always rent a Float or a Tube to enjoy the ocean on Disney’s Castaway Cay. They are $10 for the day. Bicycle rentals are also a great idea. Castaway Cay has a great bike trail and you will get to see parts of the island that you usually wouldn’t. These are $10 by the hour. It is good value to get a day package which gives you snorkel equipment rental and an inner tube for the day, as well as bike rental for an hour. The price of this is $40 so this offers good value if you think you will take advantage of all of these things. Snorkeling is a very popular activity. There is a special area on the Family Beach for snorkeling. Of course, Disney puts its very own special magic on this activity and you will find some unusual items in the water. You can rent snorkeling equipment for $29 for adults, $14 for children for the whole day. This is a great introduction to snorkeling. You can have a lot of fun with the boat rentals too. These are priced at $14 for a 2 person paddle boat and $18 for a 4 person paddle boat for 30 minutes. A Hobie Kat is $27 and a Sea Cycle is $24. You can also rent a 1 person sea kayak for $14 and a 2 person for $18. All prices are for 30 minutes. They are rented from the Family Beach. Take our advice and make sure you wear hats and use a lot of sun screen. It’s hot out there and you can get burned quickly – we know from experience! 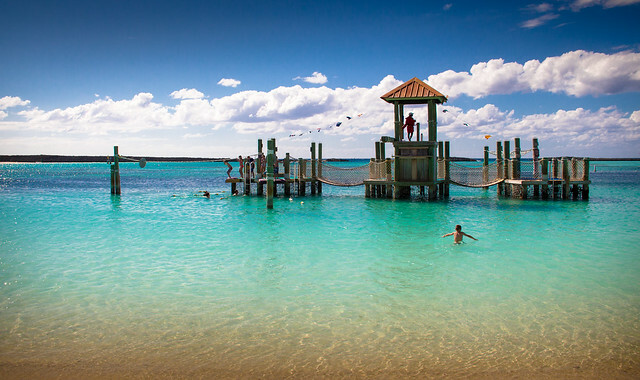 One of the most popular of all of the Castaway Cay excursions is the Castaway Ray’s Stingray Adventure. If you want to get up close and personal and learn something about these creatures, this very popular adventure is for you. The current price is $52 for adults and $41 for children under 10. Your kids have to be at least 5 years old to participate. Most people review this experience very highly. It is limited in numbers each day so it is advisable to book the excursion as soon as you can. One of the most expensive of the Castaway Cay excursions is the Parasailing Experience. This is available for anyone aged over 8 and the experience costs $104. The actual above ground experience lasts less than 10 minutes, but is one of those things that you will never forget. 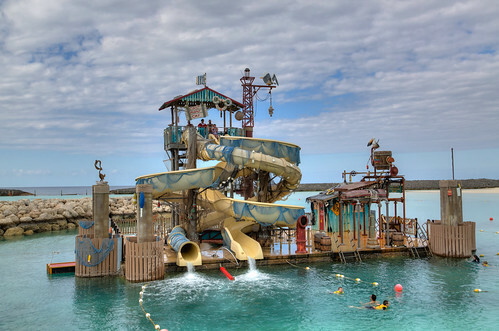 If you are a thrill seeker this is as good as it gets on Castaway Cay. 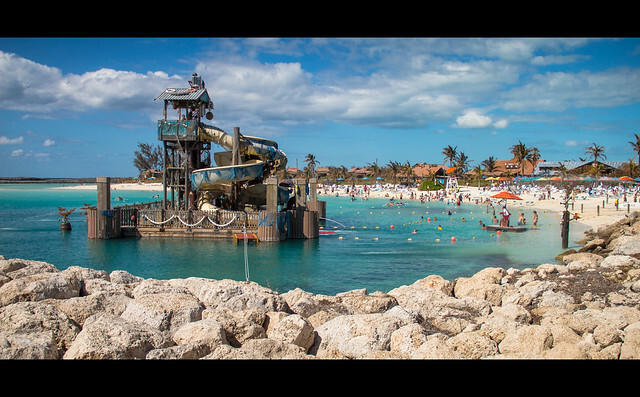 There are a number of other port adventures that you can enjoy at Castaway Cay. 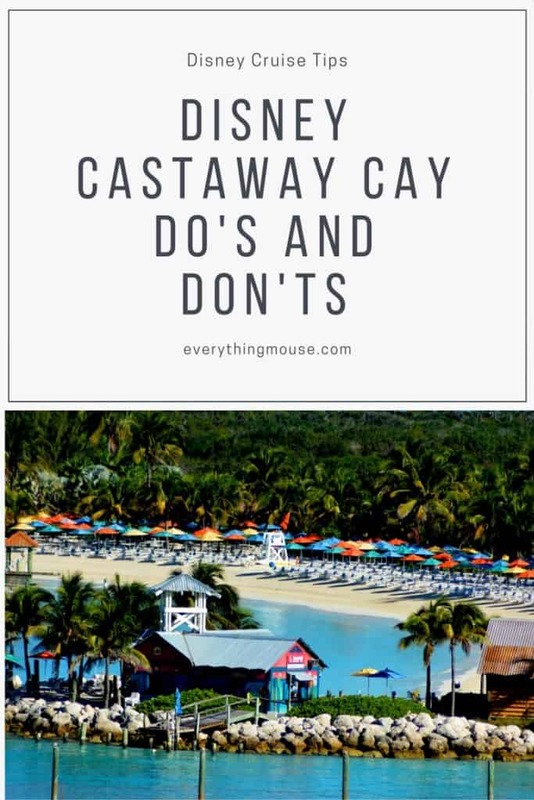 We actually view Castaway Cay as an amazing experience in itself and rarely spend much on port adventures apart apart from renting the inner tubes and bikes. We prefer to save our money for other ports of call. 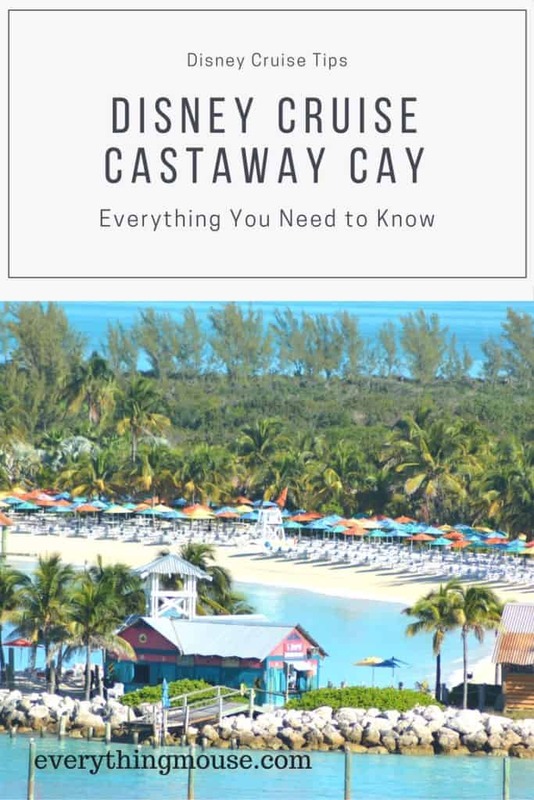 There are so many Castaway cay excursions we have written a separate article for you which you can find here. If you want to burn off some of those extra calories you will be eating on the ship you might want to enter the now very poplar Disney Castaway Cay 5K Run. This is a great way to start the day on Disney’s private island. Everything is very relaxed and this is an amazing place to run your first 5K. 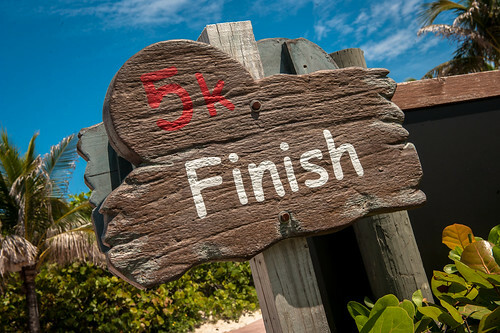 The Disney Castaway Cay 5K Run is free to enter. You will be rewarded at the finish line with a Disney Castaway Cay 5K medal. You need to register for the 5K at the ships Guest Services. You will then be given a ticket with a time and place to meet on the ship for the morning of your day at Castaway Cay. The usual time is around 8.15 and you will all disembark the ship as a group with the Cast Member who is dealing with the Castaway Cay 5K that day. You have to be at least 10 to take part in the Disney Castaway Cay 5K. This is very much a family event and not one is really taking any notice of how fast or slow you are! 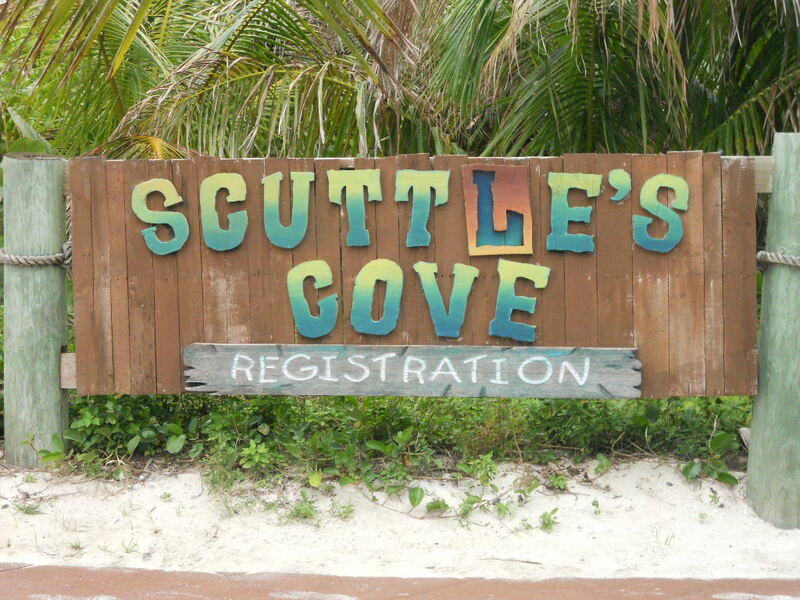 If you have kids under 10 you can drop them off at Scuttle’s Cove so that they can be taken care of whilst you run the 5K. You will need to decide if you are going to go back to the ship to get a shower and get changed after the run. This is up to you. If you go back to the ship you will of course not have as much time on Castaway Cay. If you decide that you won’t go back to the ship you can take your swimwear and change of clothes in a back pack and leave them in the free lockers provided. The route is flat, but of course it can get pretty hot, even that early in the morning. Make sure that you drink plenty of water along the way. Many participants take the chance to take a lot of photos along the way and just enjoy the experience rather than try and get the best time. When you have finished you will get a Disney Castaway Cay 5K medal. If you want you can also buy one of the shirts. You will never go short of food on a Disney cruise and Castaway Cay is no exception. The food is fine and functional. It is not gourmet and it isn’t as good as that offered on the ship. However, as a beach food venue it is fine. If you want better quality food you should go back onto the ship and we have done this sometimes. You will have an almost empty buffet experience on the ship because most people are out there enjoying Castaway Cay. It is pretty quick to get back on to the ship and off again, but time on the island is at a premium. The food on Castaway Cay is fine, not fabulous. If you can just accept it for what it is and enjoy it. Time on Castaway Cay is valuable so we advise eating here even if we admit we are a bit negative about the food quality. There a three barbecue locations on Disney’s Castaway Cay. Cookies One is located closest to the ship on the Family Beach and tends to be less busy that Cookies Two which is further in but also on the Family Beach. They both serve the same menu. It is typical barbecue fare and you certainly won’t go hungry. There is also a Serenity Bay BBQ. If you can possibly eat here we recommend it. 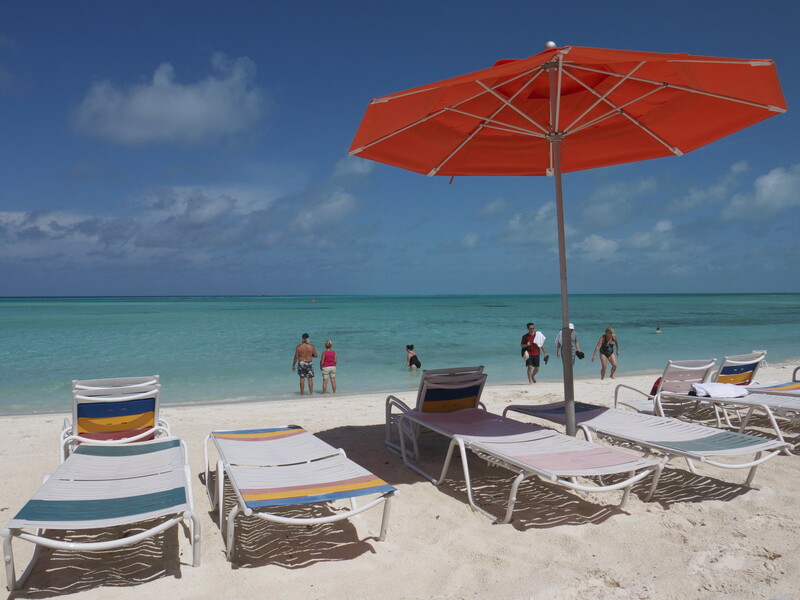 The Serenity Bay Beach is the least crowded of all the areas on Castaway Cay so that is an obvious advantage. They also sometimes serve dishes that aren’t on the Family Beach. You do need to be aware that the buffet is not open all of the time that you are on Castaway Cay. It typically opens late morning and will close by 2 pm. We actually think this is something which Disney should probably address as not everyone likes to eat on that schedule. However, just as long as you are aware of the opening times you can plan accordingly. All of the Castaway Cay BBQ venues serve the same menu (although you may get lucky at Serenity Bay). There is a selection of salads and fruit as you first enter the buffet area. You will also usually find Hamburgers, Hot Dogs, Ribeye Steaks, Rotisserie Chicken, Cajun Mahi Mahi and BBQ Pork Ribs. If you are vegan or have other special dietary needs it is best if you ask your servers about this when you are on the ship. They will make sure that you are catered for and will tell you which particular venue to go to. You will also find the usual BBQ favorites such as corn on the cob, fries and fresh fruit. There are also bags of Lays Chips available which for some reason seems to absolutely delight the kids! Dessert is limited, but you are in the sun on the beach so really it’s not the place to crave sugar! If you do there are some good chocolate chip cookies to enjoy. There is a also self service ice cream station located next to the serve yourself soda bar. You can enjoy as many drinks of soda as you want on Castaway Cay as there are drinks stations at each of the three BBQ venues on the island. Just as on the cruise ship, all the soda is free. If you want to enjoy a more adult drink on the island of course there are plenty of places you can purchase these too. There are four bars on Disney’s Castaway Cay. The very best is of course located on Serenity Bay – the Castaway Air Bar. If you really want to enjoy a cocktail on Castaway Cay the general option is that the Konk Kooler is the one to go for. This is a mix of Rum, Passion Fruit, Pina Colada and Passion Fruit which will make your time on Castaway Cay all the more memorable. The Deep Blue Sea is also a favorite and includes Bacardi Rum, Blue Curacao, and Sweet Lemon Mix. The other bars on Castaway Cay also serve the same menu. The Sand Bar and Conched Out Bar are both close to the Family Beach. The closest bar to the ship is the Head’s Up Bar which is near to the Castaway Ray Stingray Adventure. Prices for all the bars are pretty reasonable. You can enjoy a cocktail for less than $6 here. The bars are not the only place where you can enjoy a premium drink. We particularly like the Summertime Freeze Frozen Drink venue. As everyone knows, Disney’s Frozen gets everywhere. It is obvious that Olaf is a perfect fit to permanently live on Castaway Cay. Close to the Family Beach on Castaway Cay you can find some great smoothies. Of course they cost extra, but we think you should indulge at least once when you are here. The names of the drinks are pure genius and include Worth Melting For, Sven’s Carrot Delight, and Frozen Heart. The prices here are what we think is a reasonable $5.95 or $11.95 in an Olaf Sipper. That souvenir is going to be something you actually use back home so why not treat the kids? We think of Disney’s Castaway Cay as a place to enjoy with all of the family and so we have always stayed together. However, we secretly admit (well maybe it’s not a secret now) to wanting to go to Serenity Bay for an hour or two! If you want to do that and have children there are Disney kids clubs available on Castaway Cay. You can check your kids into a supervised program, just as you can on the ship. For your peace of mind, the children have plenty to do, but they are definitely not taken anywhere near the water. If you have older kids they may not want to spend the day with you anyway! There is a Teen Beach on Castaway Cay. There is also a Castaway Cay activity which is exclusively for teens which they may really enjoy. This includes a kayaking adventure, cycling, snorkeling as well as a tour of Disney’s private island. This may be a great way for your teens to spend time with their friends and for you to actually get some alone time in paradise! The shopping on Castaway Cay is surprisingly limited. There really isn’t that much to see, but there are some small shops to browse on the island. She Sells Sea Shells and everything else and Buy the Sea Shore sell Castaway Cay merchandise which can make a nice souvenir. You can also pick up items that you may have forgotten to bring such as sun screen and sand toys. Cultural Illusions sells Bahamian craft items, but doesn’t have a great selection. Should I Stay on the Ship at Castaway Cay? We admit that we are big fans of staying on the ship in port stops that we really are not interested in anymore. Nassau immediately springs to mind! It is a great opportunity to experience a Disney ship without many other guests if you stay on the ship whilst you are in a port that you do not want to experience. 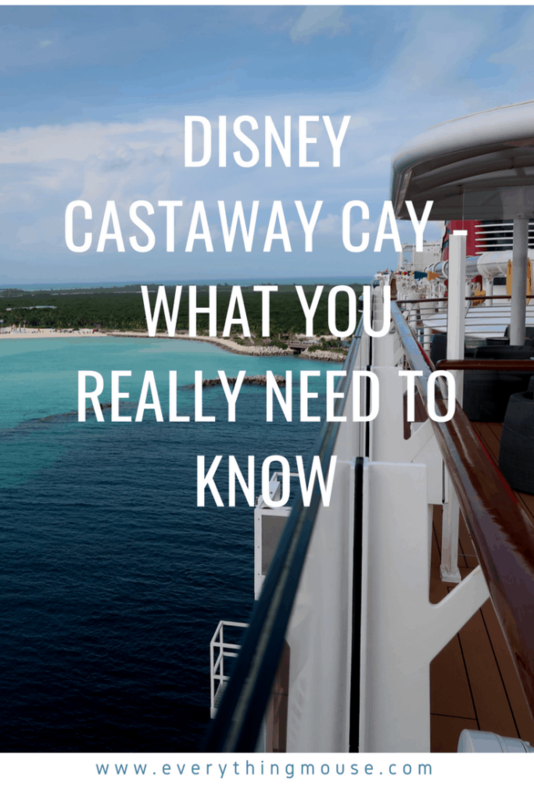 However, we really think, and so do the majority of Disney cruise guests, that Castaway Cay is the highlight of most Disney cruises. To stay on the ship is not an option that we really recommend. There is paradise right out there so we recommend taking the opportunity to experience it. Having said that, if you do want to stay on the ship it is one of the best times to experience the Aquaduck. You will have pretty much no wait time and can experience it again and again. The food is also much better on the ship that on the Disney island. Again, we really don’t suggest losing any time on Castaway Cay. However, we do acknowledge that the food is so much better on the ship. For us, this is not a reason to go back to lunch. You can experience fabulous dining for the other meals on your cruise. Castaway Cay isn’t about the food. Really what we are saying is that Disney’s private island is not somewhere that you are every going to spend much time. Even if you go on lots of Disney cruises you have limited time there. We say, make the most of it. 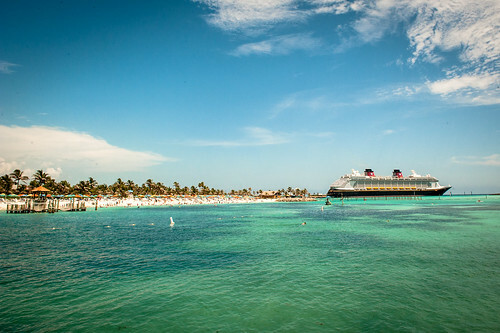 We think that Disney’s Castaway Cay is about as close to paradise as we are going to get! A lot of people go back to the ship earlier than they really need to. We are not sure why – it really isn’t going to be that Disney leaves you behind. Most people start to head back to the ship around 2 hours prior to the time that the ship is due to leave the island. We are not advocating arriving back late and causing thousands of people and of course the ship’s crew, the inconvenience of leaving late. That is just not cool. What we are saying is don’t leave a huge window to get back to the ship. Enjoy the experience for as long as you possibly can. A trip to Disney Castaway Cay really is one of those experiences which you will remember for a lifetime. Then you will want to work out how you can do it all again soon! 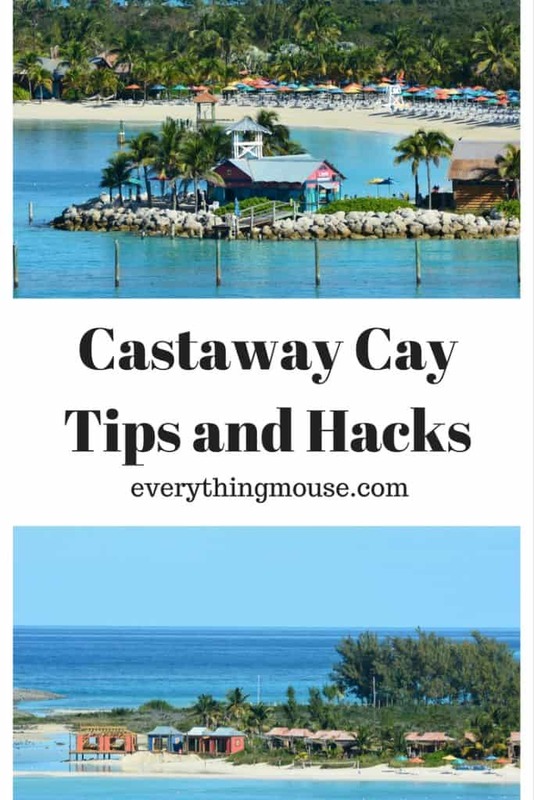 Do you have any Disney Castaway Cay tips and tricks? Share them with us in the comments section below.